Laan Tulips is a proud member of the National Tulip Day. The National Tulip Day is the official opening of the tulip season. This events happens every year at the Dam Square in the center of Amsterdam. 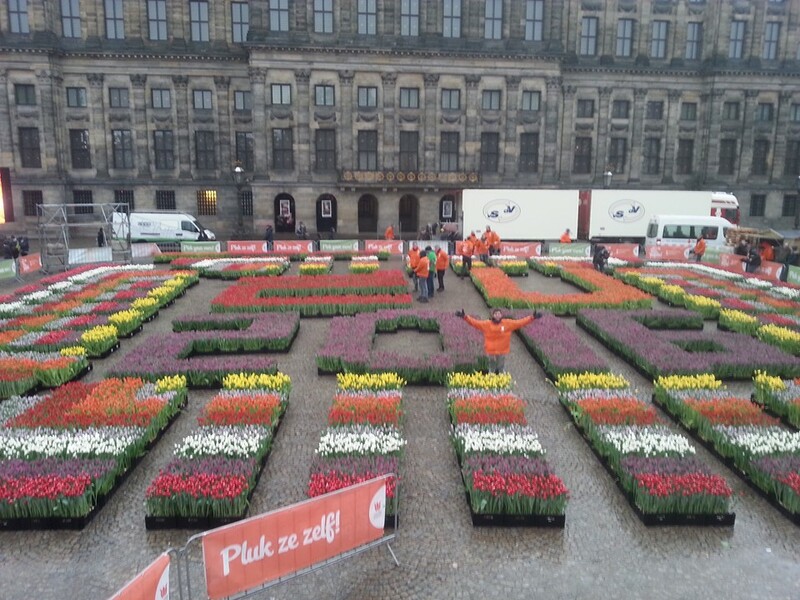 More then 15.000 visitors picked their free flowers out of a giant tulip garden with over 200.000 tulips. Within 3 hours all of the tulips were picked, this was a new time-record! The theme of the 5th edition of the National Tulip Day is: Europe. The Netherlands will hold the Presidency of the European Union in the first half of 2016. For this reason Dutch Minister of Foreign Affairs Koenders opened the National Tulip Day 2016. With the National Tulip Day the official tulip season is opened. The tulip season runs from January till the end of April, this is the period where most tulips are available in the supermarket and the florist. With a range of 1000 colors tulips offers you a lot of variety. Every year more then 1.7 billion tulips find their way to the homes of flower lovers all over the world. This makes the tulip a beautiful symbol for Holland. Broeischema Seizoen 2017 – 2018! Eerste tulpen van seizoen 2016/2017 laten zich zien!